How to transfer my software licence to my new computer? 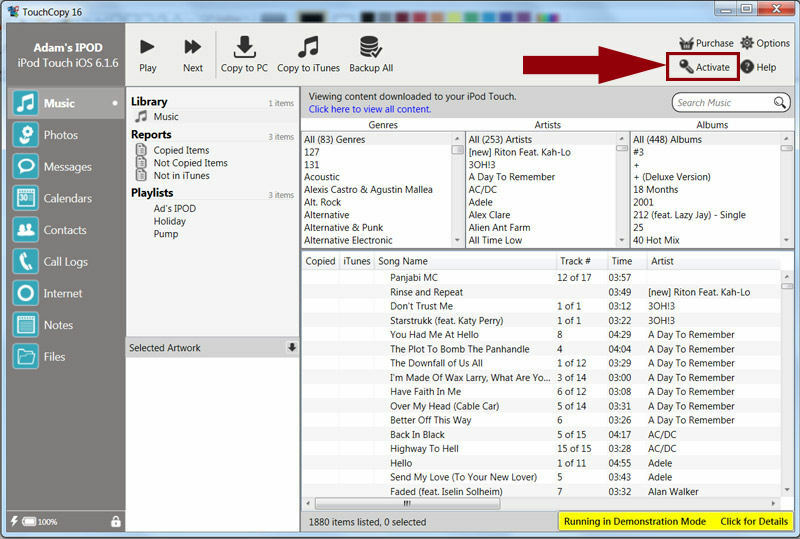 Download and install TouchCopy onto your new computer. Launch TouchCopy and then select to "Activate TouchCopy". Enter your existing activation details. You'll be prompted to enter your existing activation code and the password that you used on the first activated computer. Note that passwords are case sensitive. You'll then be prompted to choose a brand new never previously used password, which is less than 16 characters long. If you have a new PC you can transfer the activation code for any of our software products to the new PC. Similarly, you can transfer all your Mac activation codes to your new Mac. Note however that the PC and Mac activation codes are not interchangeable. If your TouchCopy activation code begins with TC16 or TM16, you can register your software on your new computer. Simply visit our activation code lookup page and enter the email address you used to purchase the software. You will then be provided with a list of your activation codes and download links for the versions of the software you have purchased. You will not be charged for activating our products on your new computer. If your TouchCopy activation code begins with TP11 or TM11, you purchased version 12 of TouchCopy. You can still download your purchased version of TouchCopy when you retrieve your activation code, but note that we are no longer updating TouchCopy 12. For a limited time, we'd like to offer you 50% discount to upgrade to TouchCopy 16 from here.